Ukraine’s new governing coalition must pass a budget for 2015 as soon as possible so as not to risk a breakdown in Ukraine’s cooperation with the IMF, Prime Minister Arseniy Yatseniuk has warned. Speaking at a cabinet meeting on Wednesday, Yatseniuk said the new coalition should waste no time in agreeing the country’s next budget, an UNIAN correspondent reported. "If there is no budget, there will be no program of cooperation with the IMF,” Yatseniuk told ministers. Cash-strapped Ukraine is depending on loans from the IMF and other international lenders to prop up the country’s finances, which were left in a shambles when the corrupt regime of ousted former President Viktor Yanukovych fled the country after February’s popular uprising in Ukraine. The country has also faced significant costs due to the outbreak of an armed conflict with Russian-backed insurgents in the eastern Donbas region of the country. “Businessmen do not invest in a country where there is a war. Therefore, a key requirement for the new coalition is an immediate agreement on the budget for the next year," the prime minister said. 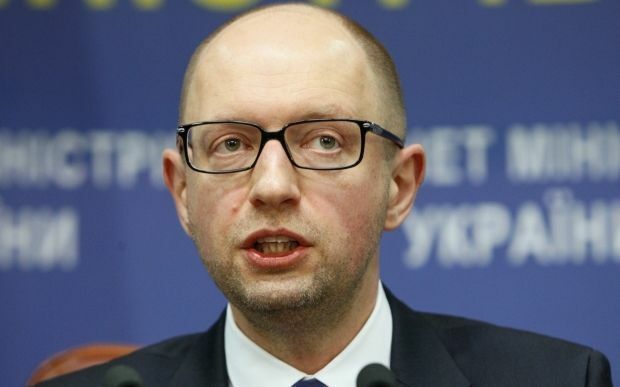 As reported earlier, Yatseniuk in October that a draft budget for 2015 had been prepared.